Monday morning blues. It's the first day back for the second semester of the school year.. and I wish it weren't so. The break went by too quickly and I feel like I hardly had any time to relax! Luckily I'm headed off to a mini getaway this weekend to the mountains - snowboarding, hot chocolate and smores by the fire, hot springs... Ah, bliss. This week on my tips is the only colour I picked up from the Essie 2012 Winter collection - Where's My Chauffeur. Not only is this shade basically my favourite colour in the whole world, its another one of those attempts to replicate the ever iconic Tiffany Blue. This robin's egg blue is practically spot on, but just a smidge darker (I believe the actual Tiffany Blue is patented..). The formula is slightly thinner than what I expect from Essie, so two coats is necessary for the shade to level out a dry to a glossy finish. Still easy to apply and with an awesome 5 days of wear time before chipping.. and a colour I will always go back to! Isn't this the best blue in the world? 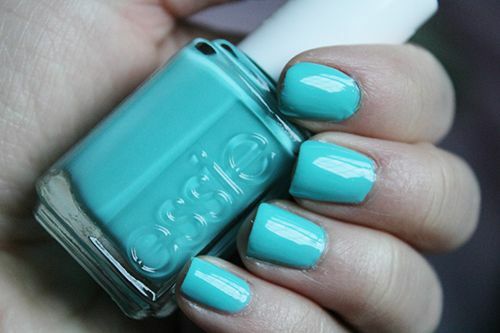 Adore this color! That is a beautiful color, it looks identical to Tiffany blue! Very beautiful nail polish! Andrea, it is GORGEOUS! Have an awesome time this weekend. That is going to be super fun. Enjoy doll! That such a gorgeous color. Thanks for droppin' by in my blog. Followed you now for a follow back. This color is beyond gorgeous! Great blog! ok! of cause! your blog is cool and you is beautiful girl! i am new follower! be my follower too please! I love this color and it really looks good on you! Thank you for visiting my blog and for your sweet comment, sure we can follow each other! I'm now following you on GFC (nr 472). 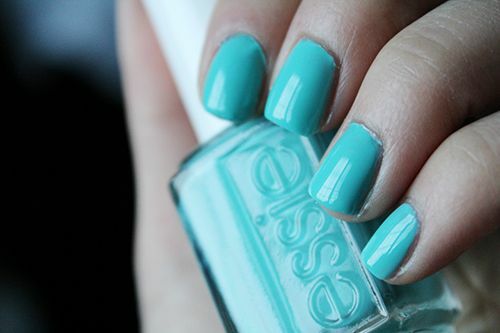 OMG I love this color - Tiffany blue :) Yes let's follow each other!! I am following you now,it's your turn. 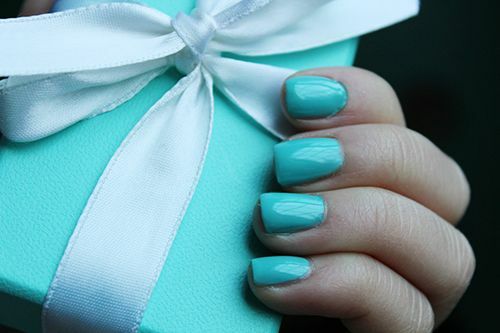 Now, that's Tiffany manicure! It is the exact color of the blue box, isn't it? y the way, I adore your Aldo clutch from 2 post ago.. gorgeous! Thanks a lot for checking out mine! Of course I would like to follow each other! So I've just followed you! I wait for you in my blog! xoxo pretty! Nice blog! If you want we can follow each other :D Let me know. I love that color is super nice, very good choice. i love this color so much...it's great..
Love the color so much! It looks like it's professionally done! Thank you so much for commenting, I appreciate it a lot! Of course we can follow each other! I'm following you now, so please follow back! Hahaha, thank you so much! Ok, let's follow each other although I don't like it... ;) I start, now it's your turn! 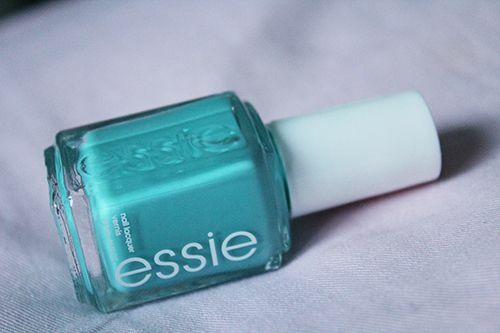 I love essie nail polish and your photos are great! Thank you for visiting and commenting on my blog. Yes, I would love to follow each other. I am your newest follower via GFC :) Love, love, love the color of this nail polish! I LOVE this color!!!! defo looks like Tiffany blue to me:) i so wanna get it now:) Oh, and wishing you a happy new year Audrey!!! Hope you had a lovely x'mas too:)I know what you mean, i felt like i didnt get to wind down at all during the holidays. Btw, to answer your question but prob a bit too late now, i went to Vancouver for xmas!!! I LOVED it there!!! Too bad we didnt get to go to Whistler cuz i was only there 9 days and everyday was packed! 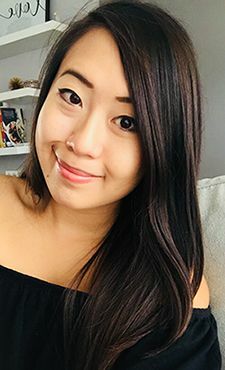 Are you from Vancouver as well? But you can give me tips on where to go anyhow if you wish, because im sooo going back for the summer!!! hehehe take care for now! Funnily enough I looked at the first two pictures thinking, 'Oh! Tiffany's!' only to then scroll down and see you holding that box. I like the colour, but I'm not sure I could pull it off. Warmer greens look better on me I find. Awww dear, fabulous color, I love it! And of course we can follow each other. New follower.